This two-day tactical training course designed primarily for law enforcement and military personnel will expose the end-user to Progressive FORCE Concepts' innovative and proven methods for safely clearing structures while mitigating risk. Topics covered include the PFC Principles of Indoor Combat, structure traits and dynamics, door management, methods of entry, confined space clearance, operating on stairs, subject management, contingency preparations, actions-on-contact, compound problems, variable team composition, low-light operation, and proof of concept scenarios. Whether you’re an officer from an agency with the desire to evolve your protocols or a member of a newly established team, this curriculum is a vital resource. With all evolutions occurring dry, technical drilling is rapid, intense and continuous with little to no downtime. For many consecutive years, PFC’s structure clearing and CQB classes have remained one of the most popular blocks of instruction at the annual New York Tactical Officers Association conference. Don’t miss this expanded and ever-evolving training opportunity. FSOC is an intensive 5-day training experience for units and tactical personnel tasked with operating in high-risk environments. Widely known as PFC’s flagship tactical training course, numerous after-action reports credit FSOC with saving the lives of them and their teammates. Material covered includes combative handgun skills, combative carbine skills, low-light shooting skills & fighting at night, tactical trauma care, live fire team tactics, vehicular assault & counter ambush tactics, structure clearing strategies & Close Quarters Battle, mechanical breaching, NFDD deployment, tactical rescues, reconnaissance and mission planning, overland team tactics and maneuver drills, critical combatives skills in full kit, and full mission profile exercises. No other course offers the breadth and depth of this curriculum under such compressed and realistic conditions. Upon customer request, FSOC can be run as a certification course for personnel selection and/or standards testing that include both written and practical formalized evaluations. During certain urban operations, environments and adversaries can push responders into compromising positions where specialized equipment is not only sound, it’s necessary. 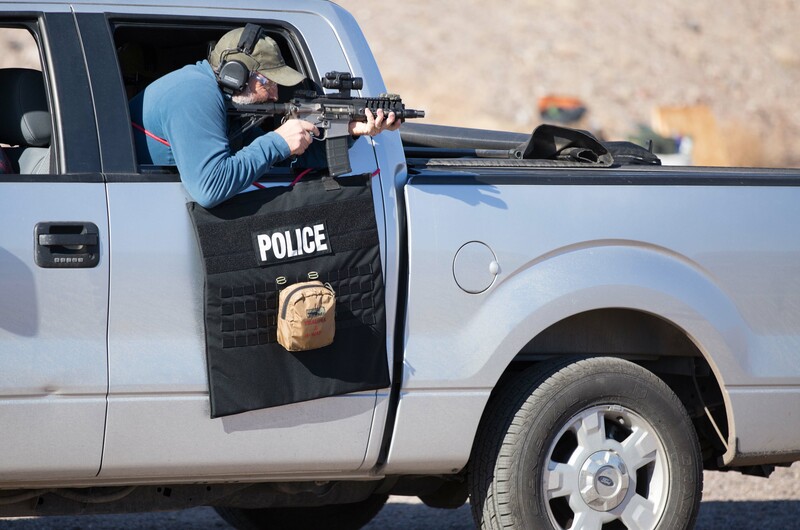 Victory Tactical Gear (VTG) has proven to be an industry leader and field innovator when it comes to armor products, especially the ballistic shield. Progressive FORCE Concepts has teamed with VTG to offer the Victory Shield Operator Course. This one-day program combines product education, tactical application and performance-based training to create knowledgeable and competent shield operators. This training will enhance individual and team safety as well as agency capability if equipped with ballistic shields. Topics covered will include Ballistic Shield Applications, Ballistics & Protective Capability, Shield Carry & Handling, Handgun Deployment, Handgun Manipulations, Low-Light Shield Operation, Movement Skills & Drills, Outdoor & Indoor Team Tactics, Cornering & Crossings, Entry Applications, Structure Clearing, and Tactical Rescues. Depending on location, training may include inert firearms, live fire drilling, and/or force-on-target/force-on-force evolutions with UTM marking cartridges. This course is 100% mobile and available to law enforcement agencies or military units anywhere that are interesting in hosting the training.